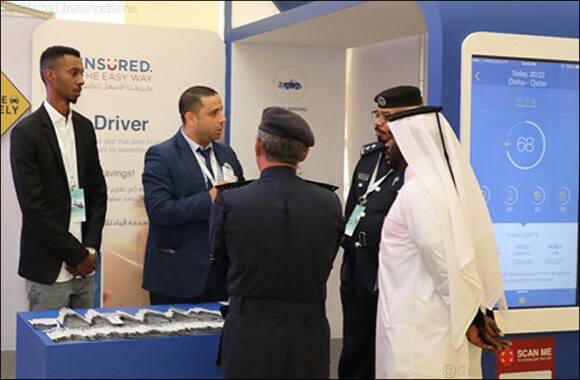 Doha, Qatar, November 28, 2018: QIC Insured, the retail arm of Qatar Insurance, the leading insurer in the MENA region participated in the International Traffic Safety Conference, which was attended by traffic safety experts, a number of Excellences, Ministers, officials, dignitaries, researchers, specialists in transport and traffic safety and many governmental entities. The highbrow conference, which addressed a number of topics, related to traffic safety, driving behavior, transport safety and security etc. also served as a launch pad for QIC Insured’s latest offering, namely, the QIC Safe Driver App. Working relentlessly towards its Corporate Social Responsibility (CSR) mission for safer roads in Qatar, QIC Insured has been for long engaging in various surveys for developing RoadSafety monitor reports that highlight driving patterns of motorists and key areas for enhancing road safety for all users. Aligning its efforts further with the second phase of the implementation plan for the National Traffic Safety Strategy (2018-2022), the Safe Driver App from QIC Insured demonstrates yet another initiative towards incentivizing motorists for being responsible drivers and ensuring road safety in Qatar. Developed by OSeven, the revolutionary Safe Driver App uses world leading telematics and Artificial Intelligence to assess and rate the driving behavior of motorists and identify safe drivers. The App records all the nuances of a trip right from the start to the end. Applying state of the art Signal Processing and Machine Learning algorithms, all parameters of risky driving behavior, such as speeding, mobile use while driving, harsh accelerations and harsh brakes are identified and translated into scores on a safe driving scale of 100. To incentivize drivers to be responsible while driving, QIC Insured will reward “safe drivers” who maintain a minimum score of 76 out of 100 (throughout the year) by offering a 20% saving upon renewal of their car insurance in the following year. This will be effective over and above the No Claim Bonus awarded to the safe driver. Available exclusively online, customers can simply visit qic-insured.com, select the Safe driver option to download the Safe Driver App from Google Play (for Andriod users) or App Store (for iOS users) and register themselves. After purchasing the new comprehensive car insurance, customers have to keep the Safe Driver App running while they drive so that the app can monitor the driving behavior of the motorist and rate the driver.